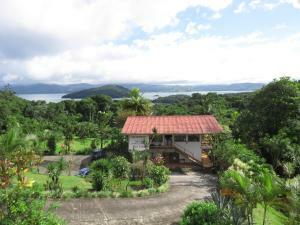 ﻿ Best Price on Hotel Los Heroes in Nuevo Arenal + Reviews! Located in Nuevo Arenal, Hotel Los Héroes has an outdoor swimming pool. Featuring room service, this property also welcomes guests with a restaurant and a terrace. Free WiFi is at guests' disposal. Every room is equipped with a private bathroom, while certain rooms are contain a kitchen. Hiking is among the activities that guests can enjoy near the hotel. Fortuna is 20 miles from Hotel Los Héroes. The nearest airport is Liberia Airport, 70 miles from the accommodation.